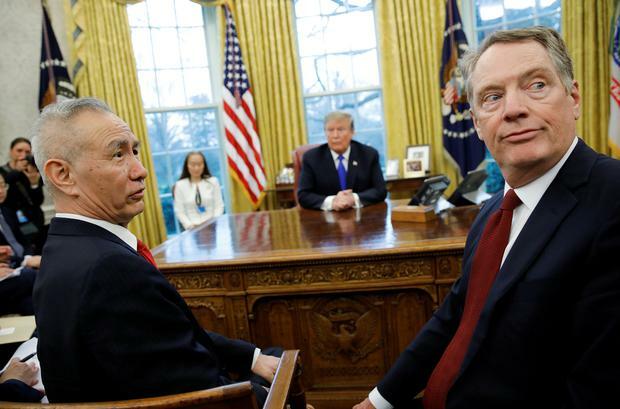 US President Donald Trump said on Sunday that trade talks a day earlier with China had been "very productive," as negotiators worked ahead of a March 1 deadline for the imposition of further US tariffs on Chinese imports. Trump said on Twitter on Sunday morning that discussions would continue Sunday. As talks proceeded Saturday both sides reported narrowing their differences. Officials are trying to come to terms on an array of complex issues governing the relationship between the world's two largest economies, including China's currency policies and the enforcement of intellectual property rights. Trump said on Friday there was a "good chance" a deal would emerge, and that he might extend the March 1 deadline and move forward with a meeting with Chinese President Xi Jinping. The United States is set to increase tariffs on $200 billion of Chinese imports to 25 percent from 10 percent unless Trump decides to delay it. The imposition of tariffs by both countries and the threat of more severe action has been a major source of global economic tension in recent months. The situation has contributed to recent large swings in equity markets, and is considered by some to be a key reason why business investment has slowed of late.